Fix what ails your Project. Start here if something isn't right with your Project. After processing, the Diagnose & Remedy tool will automatically check for the most common known issues that users encounter. The tool will also alert you if you have any duplicate image files, and give you the option to delete the duplicates with one click. If problems are found, the button will turn red on your Project Dashboard. Communication errors during uploading and indexing can leave unfinished processing stages. The most common result is a non-working remote gallery. 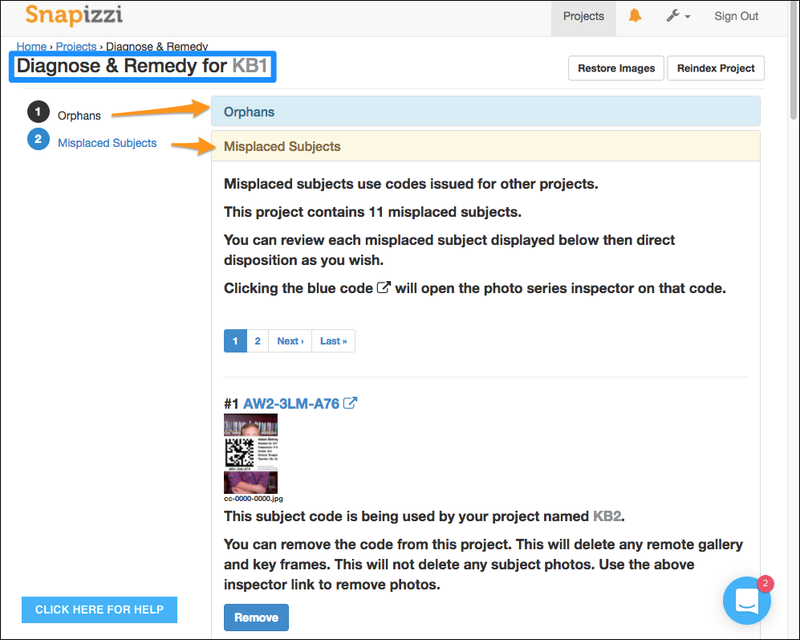 If something isn't right with your Project and the D&R tool says everything is okay, try clicking the "Reindex Project" button. A Reindex will not undo any manual corrections you may have made. It only syncs internal data structures and completes unfinished processing stages. You can also test the integrity of remote gallery links using the Gallery Verify tool. 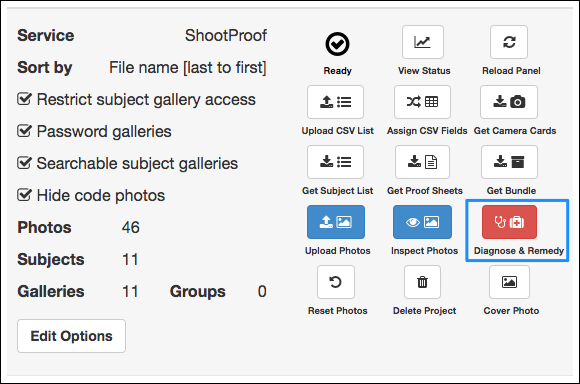 If you're a ShootProof user and Project thumbnails are missing, you may need to Restore Images.